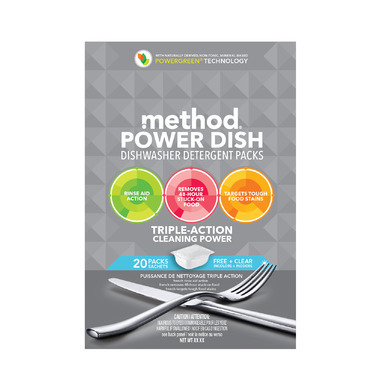 The Method Power Dish Free + Clear is made from an naturally derived, non-toxic, mineral based formula. This biodegradable formula has no phosphates or bleach and will be able to remove tough grease & 48 hour baked-on food! I love method products and this one does not disappoint. Cleans very well and great value for money.